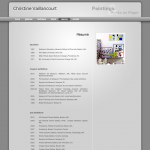 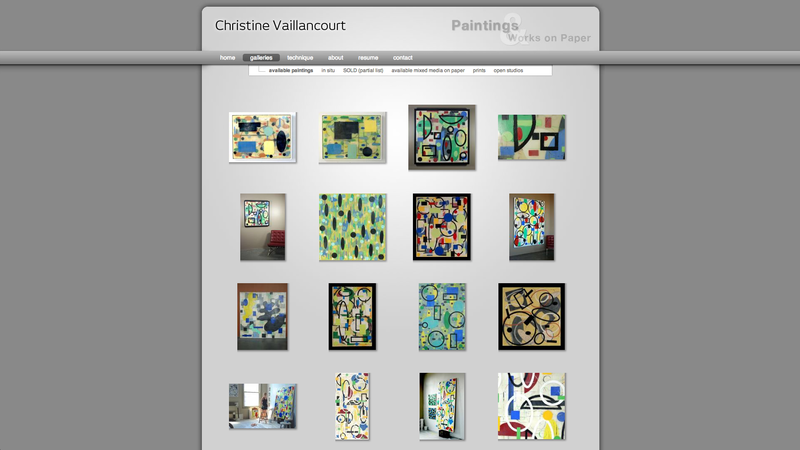 This project included a major redesign of renown artist Christine Vaillancourt’s website. 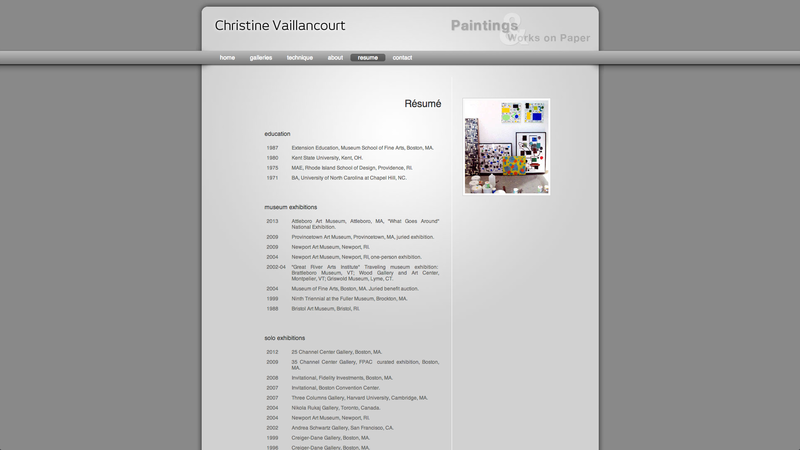 The old site was a static HTML website. 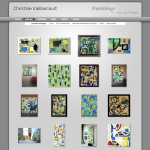 One of the criteria for the new site was to build a user admin page where Christine can upload artwork, caption the images, and organize them into galleries. 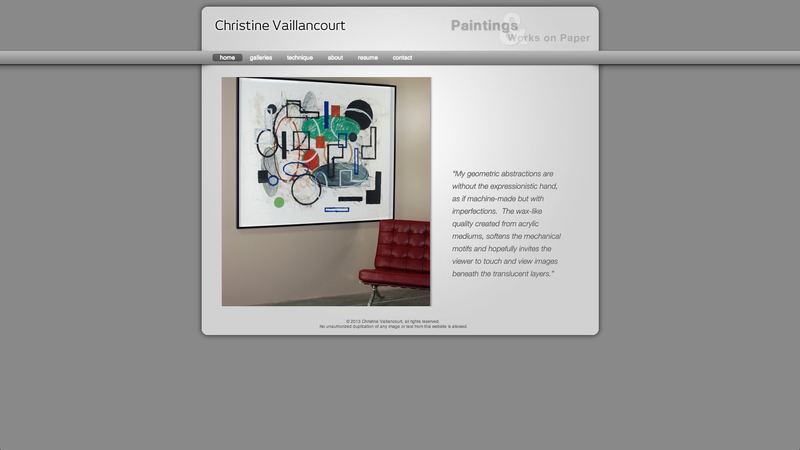 The asthetics of the site are designed to echo Christine’s artistic style. 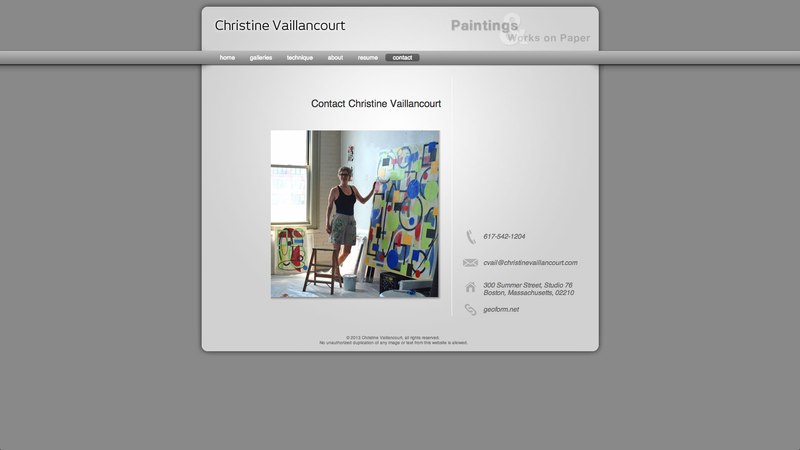 Visit this Boston Art Studio website.